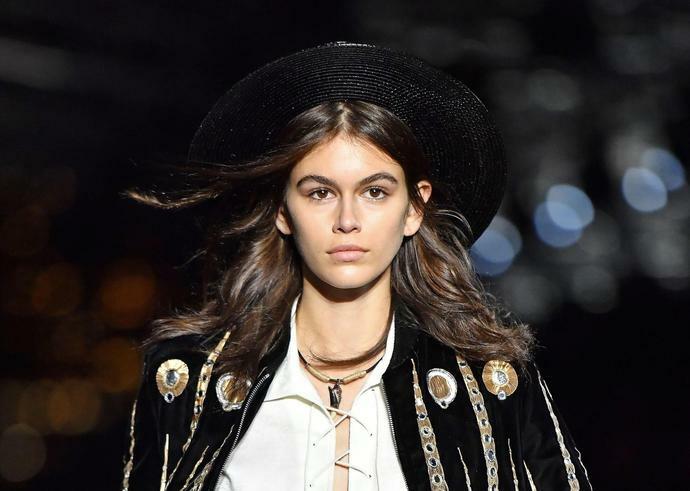 Back in 2016, before she'd even walked her first runway, Kaia Gerber had already landed a pretty major beauty campaign as the face of Marc Jacobs Beauty. Two years later, with multiple Fashion Weeks and countless more campaigns under her belt, the 17-year-old has snagged another highly coveted beauty gig, this time as an ambassador for YSL Beauté. According to WWD, Gerber's first campaign imagery for the luxury brand will go public in January 2019. In those photos, shot by David Sims, she'll be repping the Rouge Volupté Shine lipstick. In subsequent campaigns, she'll reportedly sport other beloved must-haves like the Mascara Volume Effet Faux Cils and cult favorite Touche Éclat concealer and highlighter. And Gerber will be in good company: Past YSL Beauté ambassadors include Halsey and Zoë Kravitz. "To be the new face of YSL Beauté is an opportunity to write a new story full of fun, color, and makeup," Gerber said in a statement, per WWD. "I love the DNA of a brand that is so subversive while being so luxurious and cool." Stephan Bezy, international general manager of YSL Beauté at L'Oréal, added, "Kaia is a blossoming talent with a unique sense of style and a stunning beauty. The perfect embodiment of her generation's desire for authenticity and edginess, as a muse and ambassador she will convey those values, which entirely resonate with what YSL Beauté stands for." While Gerber may be taking the cosmetics industry by storm, she still subscribes to a pretty minimalist approach to her own makeup. She previously shared with Allure the best beauty advice she's ever gotten from supermodel mom, Cindy Crawford, saying, "She's taught me about natural beauty and how less is more. She's a very simple person. She's not over the top at all, and she's not extra in any way."